What excuses are you telling yourself that are holding you back from doing more, sharing your work, message and gifts more, putting yourself out there in a bigger way, asking for the sale, going networking? What do you hear your inner voice say to you? It usually sounds something like “I can’t because….”, “I’ll do it when…”, “I haven’t got time”, “I don’t know how to do xyz”, “I’m not sure…”. We all have this inner voice to a greater or lesser degree. I’ll do it when I’m clear on my niche / my ideal client / my message / my thing / my topic / what I want to share – fill in the blank! It’s too hard, I don’t know how to do it eg figure out the technical stuff! But my message is so much more, how do I share just a piece? We all have an inner voice that can feel like it is sabotaging our success, well-being and happiness. 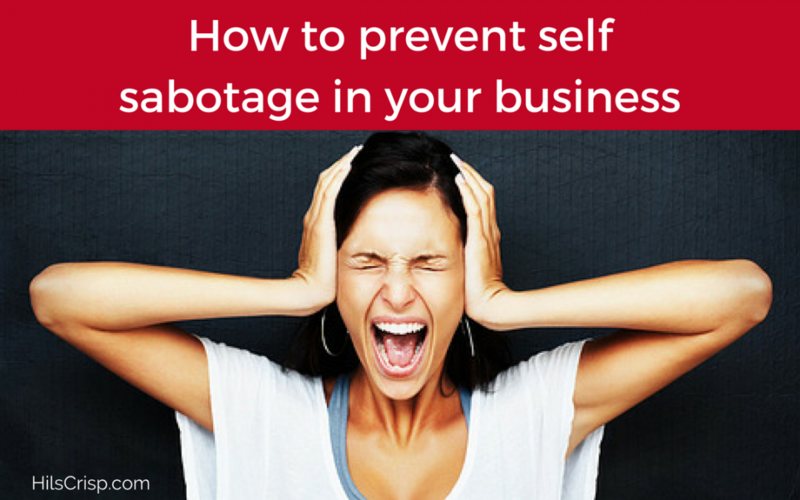 I actually don’t believe in self-sabotage, as such, I believe that it is simply fear lurking underneath (usually). It is essentially making excuses because it is afraid. You may be afraid of success, afraid of being seen, afraid of getting it wrong or making a fool of yourself, afraid of other people’s judgements or something else. It is usually fear that holds us back and this self-awareness can be really helpful in NOT letting that fear stop you from doing the things that will move your business forward. PLEASE SHARE in comments what that voice says to you. What excuses does your inner voice make? For me, my voice has been around not being totally clear on my message, my strapline, my unique thing (or whatever!) and that voice has often held me back from sharing, well anything! But remember, no one can find you or buy from you if you don’t share what you do one way or another. Remember, no one can find you or buy from you if you don’t share what you do one way or another. #1 When you notice it happening, when you hear that voice of “I can’t because…” first just, PAUSE. Simply notice and acknowledge that you’re making an excuse or that there is fear there. Recognise it is just a part of you, it’s not ALL of you. Breath, it’s OK and perfectly normal. #2 Ask yourself “is it really true?”. Can you really not do xyz? Question the reality of that voice. Our inner voice can sound soooo definitive – so challenge it! #3 Re-frame it into something more positive and empowering, by saying/asking “what if I could?”, “what if I can do…?” or “what if I did know?”. Just know, that you’ll never feel ready, you’ll never have all your ducks in a row, you’ll never have it all figured out, but can you be brave enough to do it anyway? Can you write that blog, to do that video or create that web page, despite that? The secret is, you will only actually GET CLEAR through doing, through taking action, trying and learning. The entrepreneurial journey is one big experiment and the more you can see it as that, the better and easier things will be for you. Remember to enjoy the process as much as you can. If you want to birth something bigger, then you have to have the courage to keep going, even when you feel fear, even when you’re not sure, even when you are full of self doubt! That’s what makes the difference. That’s what will move your business forward. NOT giving into the fears. They are trying to protect you because you’re stepping outside your comfort zone, so be gentle with them (and yourself) just don’t let them stop you! And if you need help with that, drop me a message here or get on a free chat here and we can get on a call to see if I can help you. I coach women entrepreneurs to feel more confident marketing themselves. Get my Marketing Made Simple 5-step process you can implement to get more clients right now without discounting, doing anything icky or damaging your brand. Just pop your details below and I'll send it to you forthwith! Or go here for more information.